If you don’t like wearing too much make up, this gorgeously soothing Face Cream will give you a healthy, radiant complexion for up to 24 hours – so you can probably skip your foundation. Containing anti-inflammatories and restoring antioxidants, it can also be applied at night to help recharge skin while you sleep. 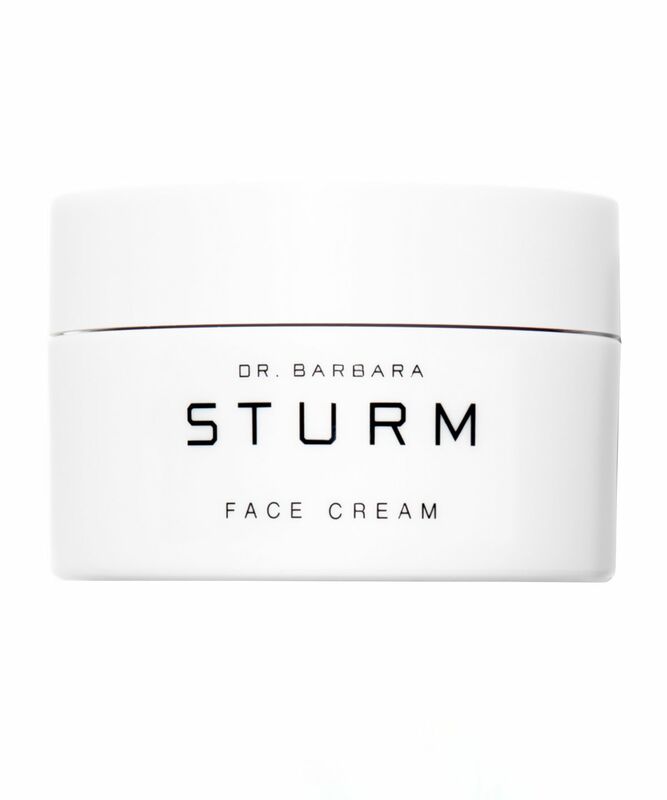 Based on an expert medical understanding of cells and anti-ageing, Dr. Barbara Sturm’s formulas yield maximum results with minimum products, protecting, strengthening and detoxifying without overburdening the skin. 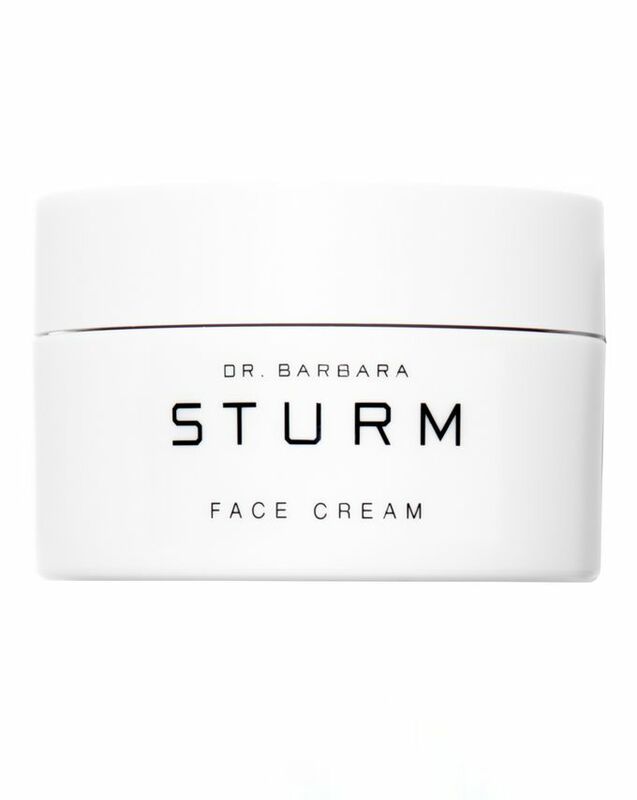 This soothing face cream keeps your complexion happy and hydrated around the clock. As well as delivering moisture at a superficial level, it also plumps and soothes the skin from within, thanks to the ‘star ingredient’, purslane (a potent botanical famed for its anti-inflammatory and antioxidant properties) which works to slow down the skin’s ageing process. Combined with other antioxidants, this cream strengthens the sensitive skin membrane against attack from free radicals by promoting the formation of telomerase, a cellular age-regulating enzyme. It’s free from artificial fragrance, parabens and mineral oil, so sensitive skin types can reap its benefits too. This is a very nice cream; hydrating and fragrance free however completely overpriced. Many other creams could be bought for the same money. I have to disagree with the previous comment - I have oily, sensitive skin and it doesn't leave a greasy feeling at all. It absorbs right in - no sticky finish or greasy feeling like so many high-end moisturizers. Also, my skin is sensitive to most (even the very best) moisturizers as they sting. This doesn't. As for anti-aging I agree it is probably ineffective and is definitely overpriced. All that corn oil in the ingredients! Purslane is way down the list and very little is actually absorbed. I just wanted to give this brand a try and probably won't repurchase. The main pro for me in this cream is how inoffensive it is (and 95% of high end creams are offensive to me). Hope this helps. This is just a regular moisturiser which offers absolutely nothing to justify the cost. Purslane is the most expensive individual ingredient in this; it's super cheap. I also don't have a problem with this price point if the results are "worth it". I didn't have any expectations, I'd received and used 2 samples of this but was compelled to leave a review because of the above. Used it over winter (Australia), I'm very dry in winter. It doesn't moisturise: it left a film that made me greasy all day. After I washed my face in the evening I looked parched. It didn't moisturise at ALL, don't see how they can claim it does for 24 hours. I would LOVE to see the study (if they even did one) which led to that claim, I wouldn't be surprised if it was based on subjects answering "yes" to whether they looked moisturised after 24 hours, of course they'd say yes if they hadn't washed the silicone/shea butter film off their face at that time. Furthermore, I don't get cloggy pores easily, but on days I used this instead of my normal (at the time, REN global protection day cream or Omorovicza balancing moisturiser) I had really mucky looking nose pores/little whiteheads popping up on cheeks/jaw/T-zone. Which took a few days of mud masking/14% glycolic serum to clear out. Ugh. Save your money. Cult Beauty has many better alternatives. I think you could buy any other moisturiser on here and be guaranteed a better product. This is the first product from a German brand I've come across which didn't deliver on its claims.